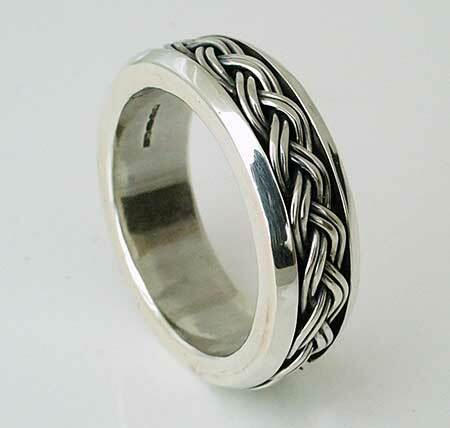 Interlaced Celtic Style Silver Ring : LOVE2HAVE in the UK! This solid sterling silver Celtic ring comes based on a slightly domed profile shaping created with the chamfered edging. 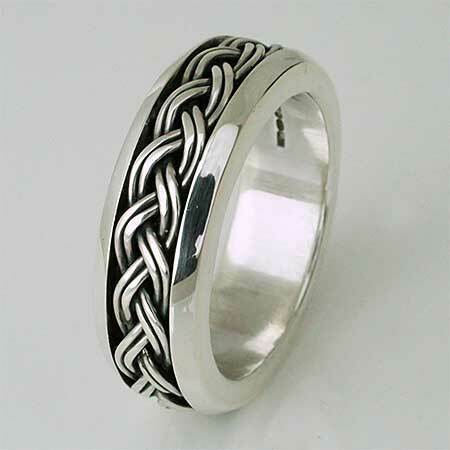 It features silver that's woven into a decorative band influenced by the famous Celtic love line. The deep channel where the silver interlaced pattern sits gives it a real three-dimensional appearance. The interlaced pattern consists of four silver wires that cross one another in pairs creating a contrast between the decorative patterning and chamfered edging. The weight is approximately 13.2g. 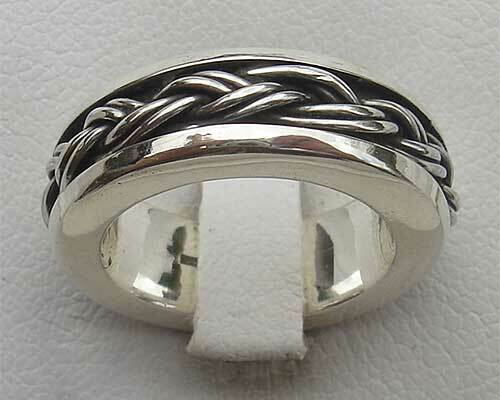 Returns Policy: You may return this UK made silver Celtic ring if it is not to your satisfaction as long as it is not engraved. Please see our terms and conditions.